When discussing her 2014 hit “Anaconda,” Minaj also discussed Joe Biden and Donald Trump’s potential love of women with large butts. Biden was the “obvious” winner (“I find that genuine men love big butts”). 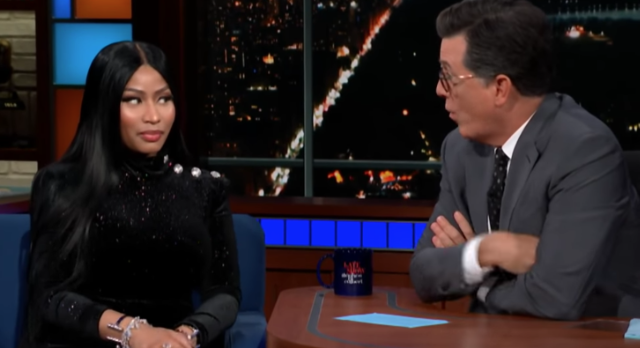 Colbert also rapped some of the Queen track “LLC.” Yesterday, Minaj also released a new video for the album’s next single “Ganja Burn.” Watch her Colbert interview below.